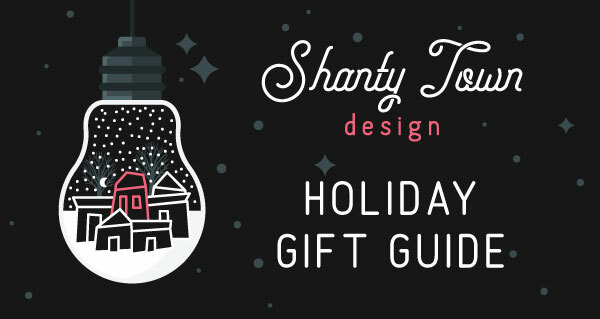 Shanty Town Design’s official 2018 holiday gift guide is here! Put your own creative twist on a vial necklaces! Use to absorb and release outdated habits, a poor pattern of thinking, or anything no longer in service of your highest good and purpose. Utilize the energy by burning and wafting the smoke upon your Sacred Space or Self. Grounding, Cleansing, Clearing, Aura & Energetic tool. Handwoven in Mexico City and alive with bright color and geometric flair. A mouse incisor and cross-sectioned porcupine quills are arranged to look like a crescent moon and stars, while a single pearl represents Polaris. XenClip is a revolutionary Hair Clip used for lifting hair up securely, comfortably, without the need for readjustment, and without damage or dents. Each candle is handcrafted, using 100% soy wax and an ECO (cotton & paper) wick or crackling wooden wick. This 108 bead mala is made from beautiful, high-quality Rainbow Agate alongside Opalite, to enhance spiritual connection, peace and stability. The variety of colors balance the whole chakra system, and the addition of opalite adds an extra dose divine connection. All malas are tied while chanting mantra and infused with reiki energy. Whether you are in need of a permanent Altar set-up or a temporary oasis of peace, Bash will design a kit specifically for you. Mystics of all experience levels can benefit from the contents received and the educational literature companion. Each item is intuitively selected per order, based upon the chosen theme, and to bring the ancient ways of knowing into the Modern Age. Each item in this box was designed, printed, and/or handmade from a company owned by Colorado woman entrepreneur. A portion of the proceeds is being donated to the Women’s Bean Project, a nonprofit with the mission to change women’s lives by providing stepping stones to self-sufficiency through social enterprise. Their Facial Serum is formulated to nourish and refresh your skin. Use in the morning before your makeup or as a nightly treat right before bed. Partnered with Savory Spice Shop to create this winter warmer! Nestled in with your beans (a lovely blend of Colombia, Sumatra, and Brazil), you will find a packet of aromatic and delicious spices to sprinkle on your grounds before brewing. The Never Skip Brunch line is designed for women looking to become fearless with their style and create a beautifully lived-in life. Allow 4 ounces of rich chocolate and sweet Arvada garden honey to soften and nourish your skin. Clear glass disc ornaments are personally individually lettered for a unique, one-of-a-kind gift. Wording is completely customizable and written to order! Filled with fresh carrots, oats, peanut butter, brown rice, bullion, and rice flour, these are sure to fill your puppy’s tummy with hearty but healthy ingredients. A world that was once protected and governed by the Elven Royal family has fallen to the hands of renegades that occupy this land. Fay finds herself alone, in pain, with a dark cloud looming over her. No, really–someone has cursed a black rain cloud to follow her. Fay would never admit it, but she’s beginning to panic a little. Approximately 5 x 3.5 inches, sew on patch. The Magic of the Zodiac Coloring Book is designed with both adults and children in mind. Whether you love Astrology or only know your own sun sign, this book is for you! Enjoy relaxed coloring as you travel through all the signs of the zodiac. Great memento from your trip to the Rocky Mountains, gift item for your favorite Coloradian, or celebrate your new home. Settle in for your ride down The River Styx. Soothsayer’s all-orange habañero sauce packs a lasting burn that moves at the slow, lingering pace you would expect of a river of fire. Balanced with orange bell peppers and carrots, Perdition will leave you perpetually craving more. The base planner was designed to help you get organized and make 2019 your most productive year ever! The year begins with you getting focused, self-aware, and specific about what you need, and want out of 2019. Wildflower comes from their Summer crop of honey. It’s light in color and has a mild flavor with a distinctive lingering finish. It’s fresh taste and pleasant scent pairs well with tea. DID YOU KNOW: We also have an online shop! Check out our Etsy for a variety of hand drawn decals!